Very well presented 3 bedroom 1 bathroom home. 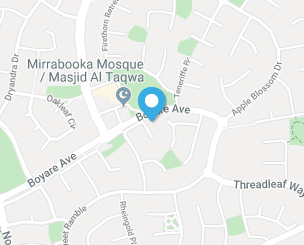 Walking distance to local shopping and the Mirrabooka Mosque. Described by the agent as 'PRICE REDUCED!!! PRICE REDUCED!!! ', 29 Snowdrop Retreat, Mirrabooka WA 6061 is a 3 bedroom, 1 bathroom House For Sale by Kim Huong Nguyen from Successful Leaders Realty. This property was listed For Sale with a listing price of $358,000. Mirrabooka properties have a median price of $326,000 with a growth of -9.4% over the past 12 months. If you're interested in getting in touch with Kim Huong Nguyen regarding 29 Snowdrop Retreat, Mirrabooka please call 0423 375 682 or contact the agent via email. Please check and correct the required details before submitting again. Mirrabooka was formally created as a suburb in 1982 following the abandonment of the original vision of the area, which was to be a ‘satellite city’ that would help accommodate a rapidly growing post-war population. Mirrabooka is 14 kilometres from Perth and largely characterised by single detached dwellings of brick and tile construction. Residents in Mirrabooka have a good supply of public open space and parks to enjoy at their leisure. The Herb Graham Recreation Centre is a terrific multi-purpose sport and community centre with function rooms available for hire. The Mirrabooka Regional Centre caters to the suburbs amenities and commercial requirements and features the Mirrabooka Square Shopping Centre. Within Mirrabooka there are also three primary schools, one high school and a public library.